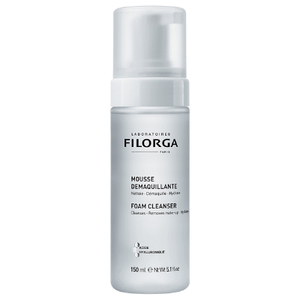 Replenish skin with the Filorga Hydra-Hyal Serum; an intensive concentrate with hydrating and plumping properties. 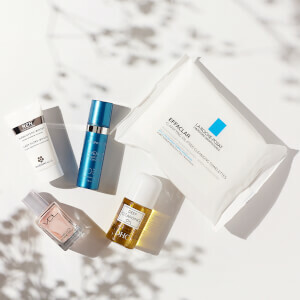 Utilizing four types of Hyaluronic Acid, the potent formula is able to penetrate deeply into skin and deliver a veil of moisture that offers a visible smoothing and plumping effect to eliminate dehydration lines. 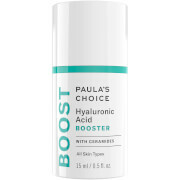 Stimulating the production of Hyaluronic acid in the dermis and epidermis, the concentrate is enriched with two plant-based boosters that work to restore skin’s natural reserves and provide a long-lasting, youth-enhancing effect. 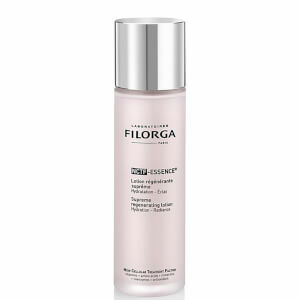 Complete with Filorga’s exclusive complex NCTF, the anti-aging serum restores a healthy and fresh-looking appearance. 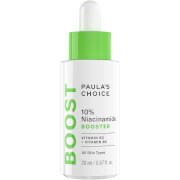 Instantly hydrating skin without any stickiness, the concentrate leaves the complexion supple and radiant. Free from Parabens. Suitable for Vegetarians. 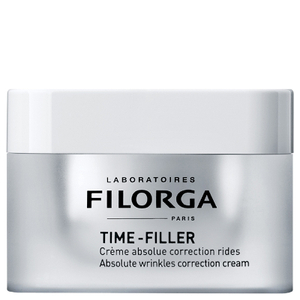 Apply daily, morning and evening, before your day cream and/or night cream. Aqua (Water), Glycereth-26, Pentylene Glycol, Ppg-26-Buteth-26, Phenoxyethanol, Peg-40 Hydrogenated Castor Oil, Sodium Hyaluronate, Glycerin, Trehalose, Urea, Ophiopogon Japonicus Root Extract, Sodium Polyacrylate Starch, Butylene Glycol, Butyl Methoxydibenzoylmethane, Disodium Edta, Ethylhexyl Methoxycinnamate, Parfum (Fragrance), Serine, Alpinia Galanga Extract, Ethylhexyl Salicylate, Sucrose Palmitate, Algin, Caprylyl Glycol, Disodium Phosphate, Glyceryl Polyacrylate, Phenethyl Alcohol, Pullulan, Glyceryl Linoleate, Sodium Carrageenan, Prunus Amygdalus Dulcis (Sweet Almond) Oil, Sodium Chloride, Ethylhexylglycerin, Caprylic/Capric Triglyceride, Xanthan Gum, Citric Acid, Potassium Phosphate, Glucose, Maris Sal (Sea Salt), Potassium Chloride, Potassium Sorbate, Calcium Chloride, Magnesium Sulfate, Glutamine, Sodium Phosphate, Sodium Acetate, Ascorbic Acid, Tocopherol, Lysine Hcl, Arginine, Alanine, Histidine, Valine, Leucine, Threonine, Isoleucine, Tryptophan, Phenylalanine, Tyrosine, Glycine, Polysorbate 80, Deoxyadenosine, Cystine, Cyanocobalamin, Deoxycytidine, Deoxyguanosine, Deoxythymidine, Glutathione, Asparagine, Aspartic Acid, Ornithine, Glutamic Acid, Nicotinamide Adenine Dinucleotide, Proline, Aminobutyric Acid, Methionine, Taurine, Hydroxyproline, Glucosamine, Coenzyme A, Glucuronolactone, Sodium Glucuronate, Thiamine Diphosphate, Disodium Flavine Adenine Dinucleotide, Sodium Uridine Triphosphate, Retinyl Acetate, Inositol, Methyl Deoxycytidine, Niacin, Niacinamide, Pyridoxal 5-Phosphate, Pyridoxine Hcl, Biotin, Calcium Pantothenate, Folic Acid, Riboflavin, Tocopheryl Phosphate.